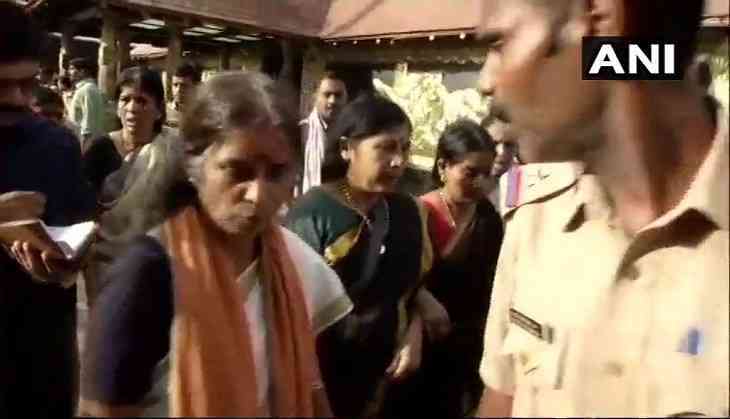 Sabarimala temple has today opened its gates for the devotees under heavy police protection and a woman aged 52-year old, entered the temple premises. Today is the second day of re-opening of the Sabarimala temple and the protests continued against the entry of women, which was cleared by the Supreme Court earlier in the Constitution bench verdict. Lalitha, the 52-year old woman, came with her family to offer prayers at the Sabarimala temple. She was attacked by the protesters and a scene got created but later on, under police protection, she was allowed to enter the temple premises. She is a devotee from Thrissur and was totally opposed by the protesters. The ruckus got erupted after reports emerged of a woman devotee attempting to enter the temple. Hundreds of devotees assembled at the inner courtyard or Sannidhanam in order to agitate against the alleged entry of the woman, the PTI reported. Media persons were attacked during the protest and a woman phot-journalist was hit by the violent protesters.